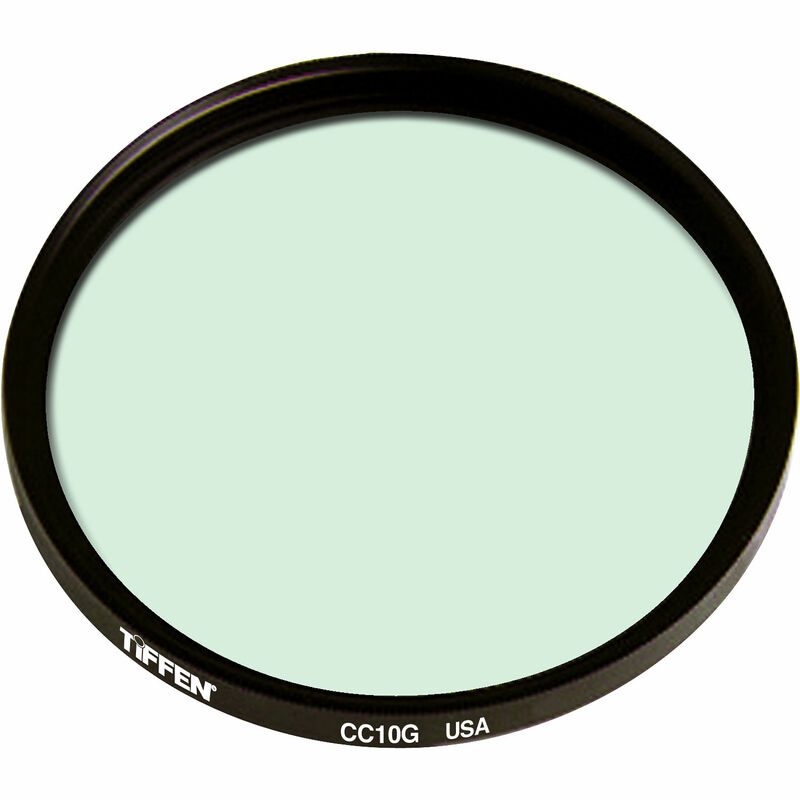 The Tiffen 86mm CC10G Green Filter is a color compensating (or color correction) filter for use when making color balance adjustments. It can be used to alter the color balance of a scene by placing in front of a light source or the lens of your camera. It can also be used to apply color corrections when used in the darkroom with an enlarger or to help pre-visualize color adjustments when viewing prints. Green is the opposite of magenta and can be used to reduce magenta tones or casts within a scene or print. This green CC10 is more dense than a CC05 filter and less dense than a CC20 filter, and requires a 0.3 stop compensation for normal exposure results. Green color compensating filter for use when making color balance adjustments. Green is the opposite of magenta and is added to reduce magenta tones or color casts within a scene or print.